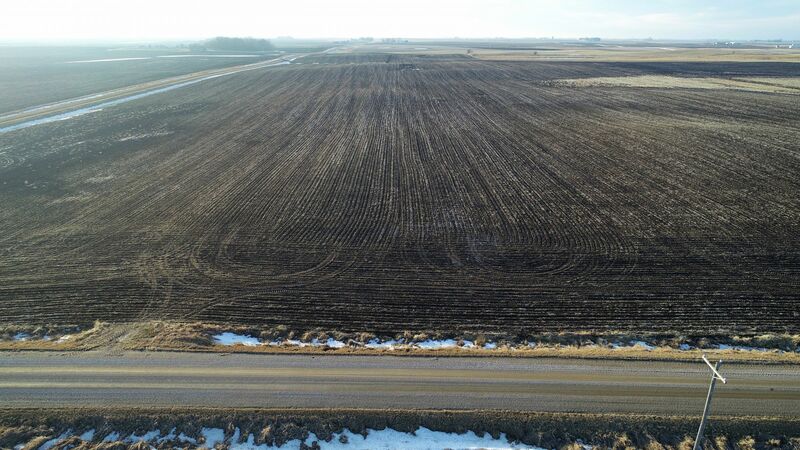 Offering 195 acres M/L of high quality Emmet County farmland to be sold via public auction on February 27th, 2019. The Auction will be held at The American Legion in Ringsted, IA at 10:00 AM. The farms will be sold in two separate tracts through the "Choice" Auction Method. 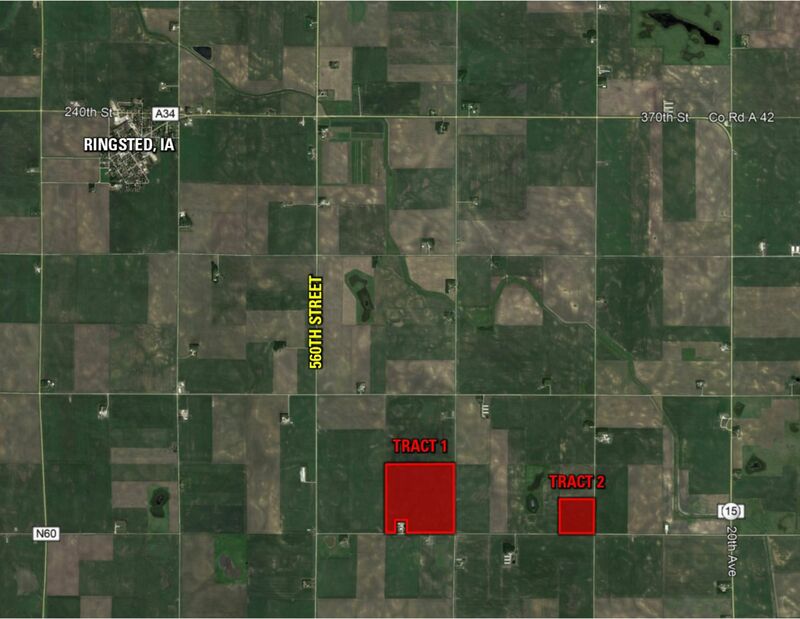 Tract 1 Consist of 155 acres m/l and tract 2 consists of 40 acres m/l. These high quailty farms are located in section 35 and 36 of Denmark Township. The Southeast Quarter of Section 35, Township 98 North, Range 31 West of the 5th P.M. Emmet County, Iowa Except a part of the Southwest Quarter of the Southeast Quarter of Section 35, Township 98 North, Range 31 West of the 5th P.M., Emmet County, Iowa, described as follows: Begining at a point on the South line of the said SW1/4 SE 1/4, at a distance of 382.93 feet east of the S1/4 corner of said Section 35; thence North 0 05' 14" West 510.85 feet to a point on he South line of said SW1/4 SE1/4 ; thence South 90 00' 00" West 396.93 feet to the point of begining, containing 4.88 acres, subject to County road right of way and any other existing easements. AND the Southeast Quarter of the Southeast Quarter of section 36, Township 98 North, Range 31, West of the 5th P.M., Emmet County, Iowa. 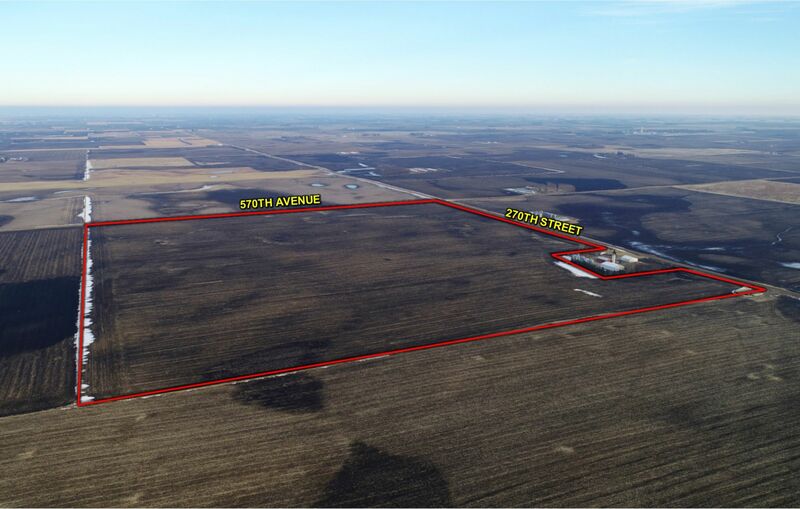 From Ringsted, head east on 240th Street for 1 mile and turn south on 560th Avenue. Travel south for 3 miles and turn east onto 270th Street. Travel east for 1/2 mile and tract 1 will be located on the north side of the road. Travel for another 1.25 miles east and tract 2 will be located on the north side of the road. 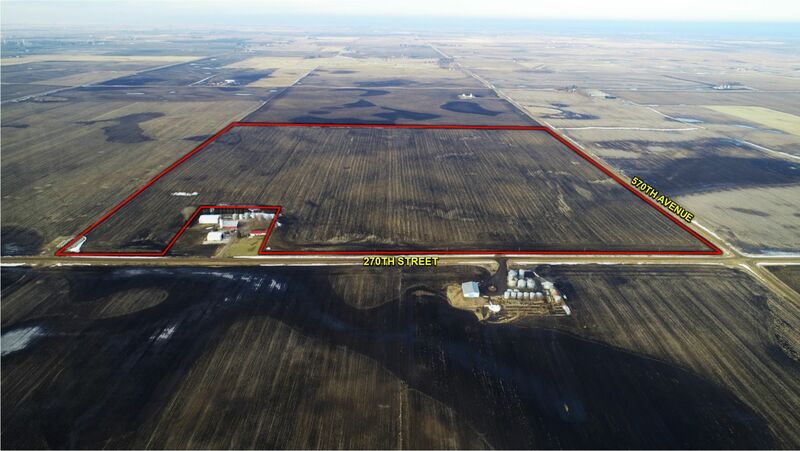 Auction Method: Tracts 1 & 2 will be sold on a price per acre basis and will be offered through the marketing method of "Buyer's Choice", whereas the high bidder can take, in any order, any or all tracts for their high bid. "Buyer's Choice" auctioning will continue until both tracts have been purchased. Tracts will not be offered in their entirety at the conclusion of the auction. Earnest Money Payment: A 10% earnest money payment is required on the day of the auction for each tract. The earnest money payment may be paid in the form of cash or good check. All funds will be held in Peoples Company’s Trust Account. Closing: Closing will occur on or about April 7th, 2019. The balance of the purchase price will be payable at closing in the form of cash, certified check, or wire transfer. 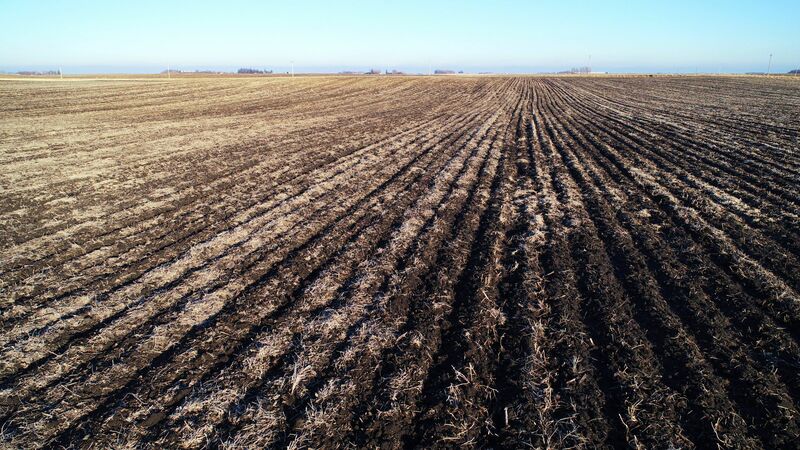 Farm Lease: Farms are both leased for the 2019 crop year. The buyer will assume the lease and receive a credit for the first half of the cash rent at closing the second payment is paid September 1, 2019. For more information on the lease please call the listing agent. Contract & Title: Immediately upon conclusion of the auction, the high bidder will enter into a real estate sales contract and deposit with Peoples Company the required earnest money payment. The Seller will provide a current abstract at their expense. Sale is not contingent upon Buyer financing.. Bidder Registration: All prospective bidders must register with Peoples Company and receive a bidder number in order to bid at the auction. No absentee or phone bids will be accepted at the auction without the prior approval of the Auctioneer. Agency Representation: Peoples Company and its representatives are agents of the Seller. Winning bidder(s) acknowledge they are representing themselves by participating in and completing the auction sales transaction. Farm Program Information: Farm Program Information is provided by the Emmet County Farm Service Agency (FSA) and Natural Resources Conservation Services (NRCS) offices. 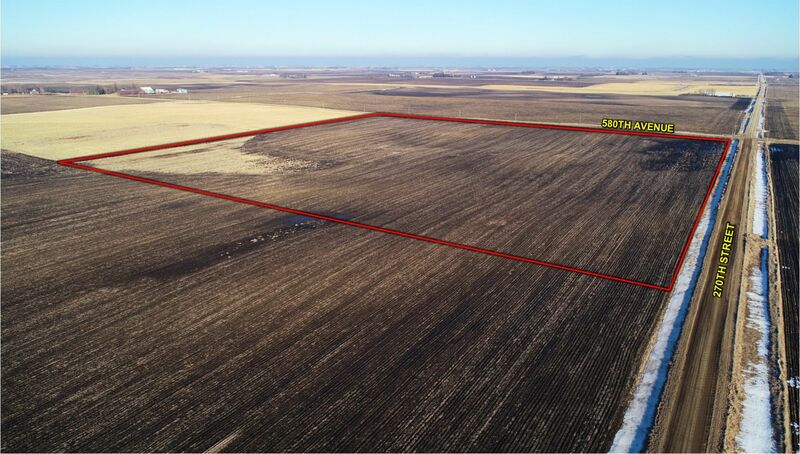 The figures stated in the marketing material are estimates of the Seller and Peoples Company; however, the Farm Program Information, base acres, crop acres, conservation plan, etc. 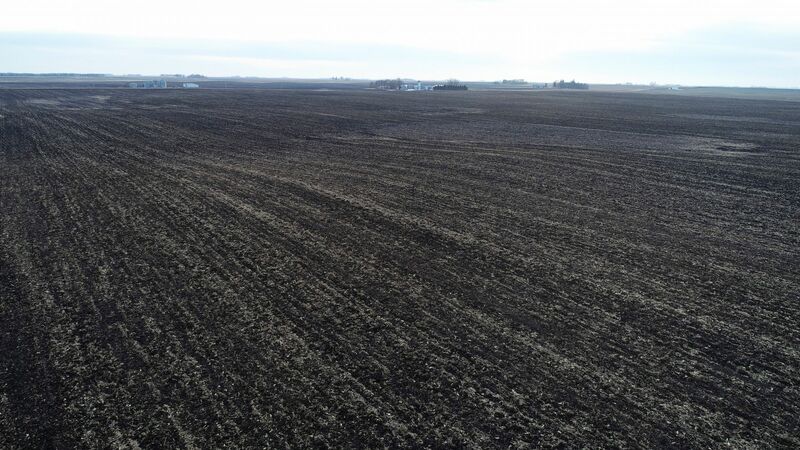 are subject to change when the farms are reconstituted by the Emmet County FSA and NRCS offices. Mineral Rights: All mineral rights, if any, will be transferred to the Buyer(s). Financing: The sale of the property is not contingent upon Buyer obtaining financing. All financing arrangements are to have been made prior to bidding at the auction. By bidding, the bidder makes a representation that he/she has the present ability to perform at the bid price and will fulfill all obligations within the Real Estate Sale and Purchase Agreement. Tract 1 will be offered as 155 acres m/l. 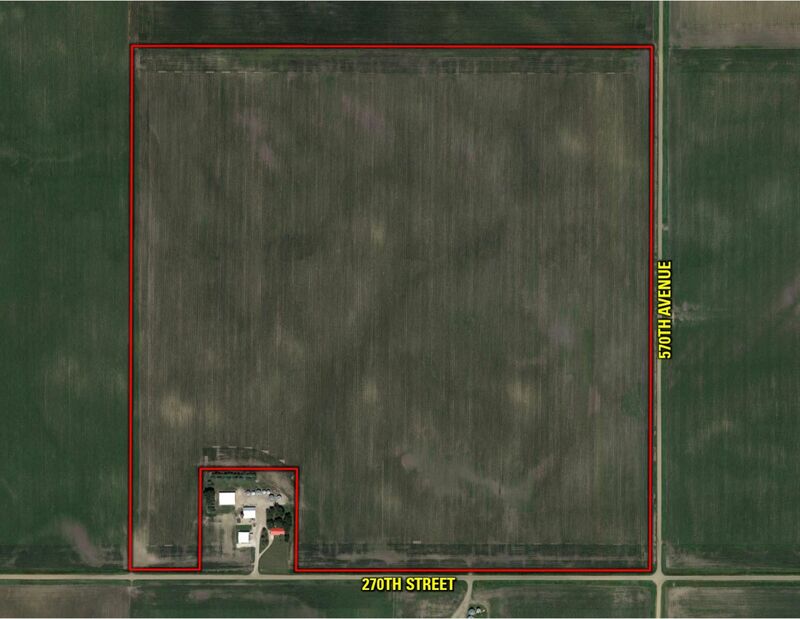 This tract consists of 150.6 tillable acres carrying a CSR2 of 83.1. 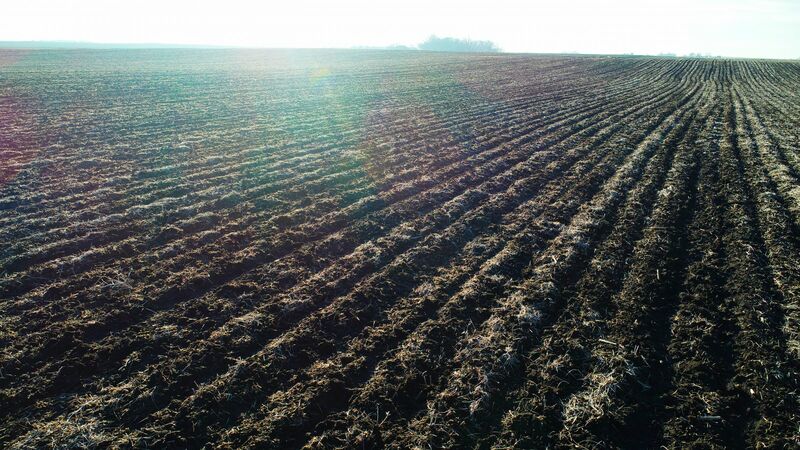 Primary soils types include Nicollet, Canisteo, and Clarion loams. The farm has extensive county tile (See Tile Map). The farm is leased for the 2019 crop year. The buyer will assume the lease and receive a credit for the first half of the cash rent of $20,708 at closing the second payment is paid September 1, 2019. Please contact the listing agent for more information on the lease. 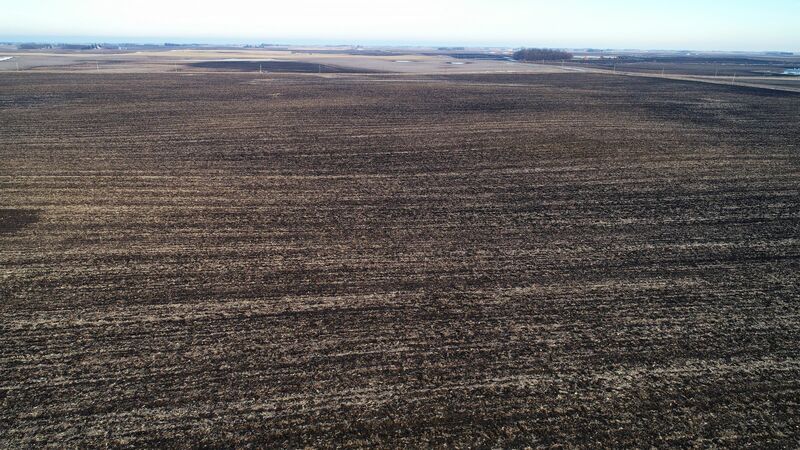 The farm is located south of Ringsted, Iowa in Section 35 of Denmark Township. The Southeast Quarter of Section 35, Township 98 North, Range 31 West of the 5th P.M. Emmet County, Iowa Except a part of the Southwest Quarter of the Southeast Quarter of Section 35, Township 98 North, Range 31 West of the 5th P.M., Emmet County, Iowa, described as follows: Begining at a point on the South line of the said SW1/4 SE 1/4, at a distance of 382.93 feet east of the S1/4 corner of said Section 35; thence North 0 05' 14" West 510.85 feet to a point on he South line of said SW1/4 SE1/4 ; thence South 90 00' 00" West 396.93 feet to the point of begining, containing 4.88 acres, subject to County road right of way and any other existing easements. From Ringsted head east on 240th Street for 1 mile and turn south on 560th Avenue. Travel south for 3 miles and turn east onto 270th Street. Travel east for 1/2 mile and tract 1 will be located on the north side of the road. 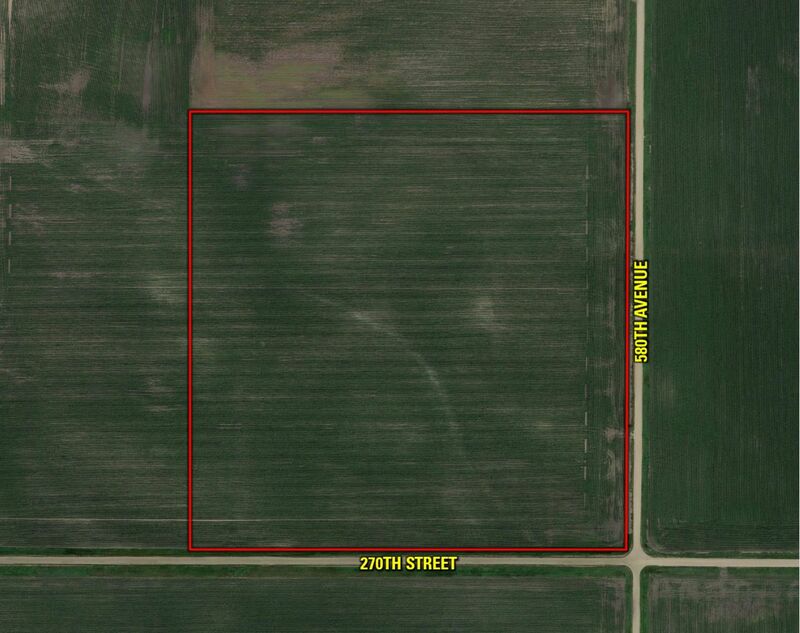 Tract 2 will be offered as 40 acres m/l. 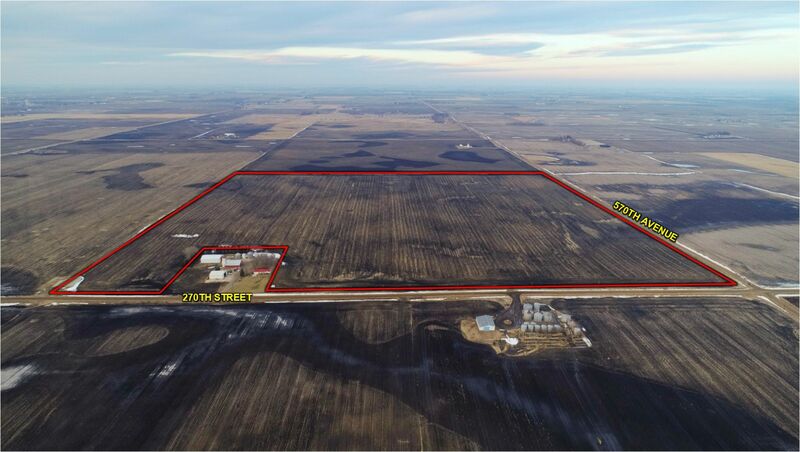 This tract consists of 37.54 tillable acres carrying a CSR2 of 79.6. Primary soils types include Canisteo, Clarion, and Nicollet loams. The farm is leased for the 2019 crop year. The buyer will assume the lease and receive a credit for the first half of the cash rent of $5,162 at closing the second half payment is paid September 1, 2019. Please contact the listing agent for more information on the lease. 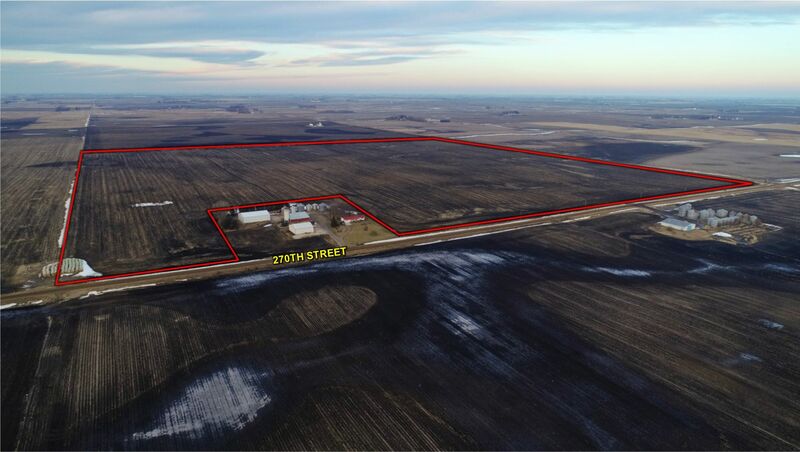 The farm is located south of Ringsted, Iowa in Section 36 of Denmark Township. 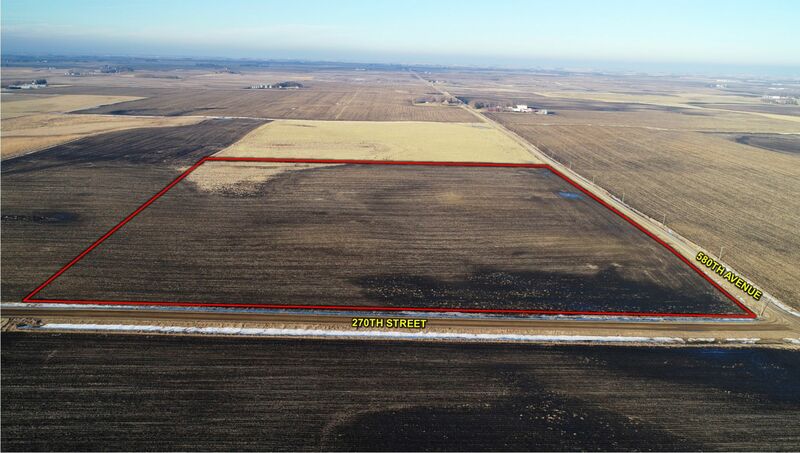 From Ringsted head east on 240th Street for 1 mile and turn south on 560th Avenue. Travel south for 3 miles and turn east onto 270th Street. 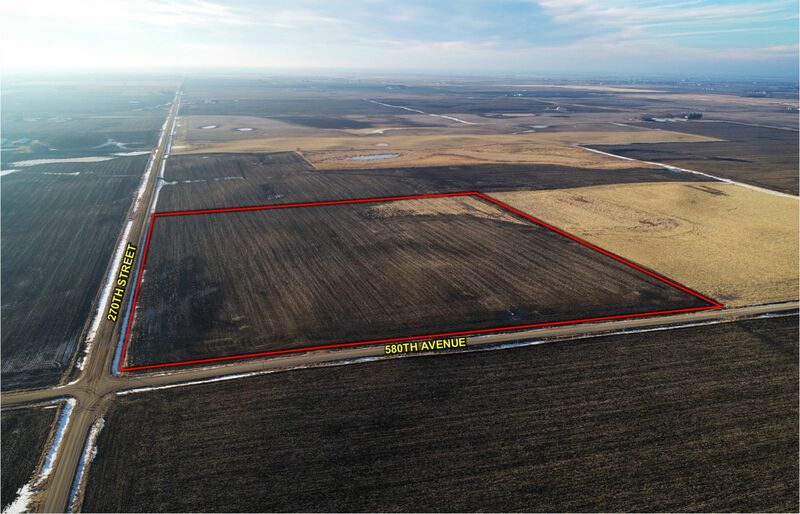 Travel east for 2 miles and tract 2 will be located at the corner of 270th Street and 580th Avenue.